Prime Minister Benjamin Netanyahu is prepared to continue peace talks for another year on the basis of US Secretary of State John Kerry’s “framework” agreement, which provides for negotiations for Palestinian statehood on the basis of the pre-1967 lines, according to Likud sources quoted by Israel’s Channel 10 news Monday night. Netanyahu is prepared to view the framework agreement, including the provisions for talks on the basis of the pre-1967 lines, as “a basis for negotiation,” the sources were quoted as saying. The report noted that Netanyahu’s ostensible assent is based on the assumption that neither he nor Palestinian Authority President Mahmoud Abbas will be required to actually sign the Kerry framework proposal. 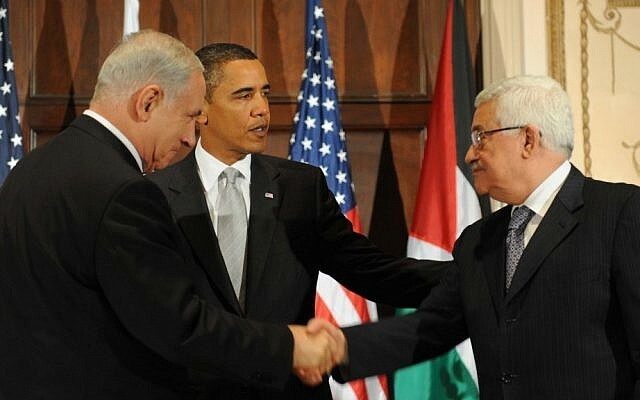 Netanyahu has hitherto refused to negotiate Palestinian statehood on the basis of the pre-1967 lines. There was no confirmation from the Prime Minister’s office of the Channel 10 report. Netanyahu refused in the summer to agree to talks on the basis of the pre-1967 lines, or to freeze all settlement building — two preconditions demanded by Abbas. He did accept a third demand — agreeing to free 104 Palestinian prisoners, most of them terrorists convicted of involvement in the murder of Israelis. Twenty-six such convicts were being freed Monday night, in the third of a four-phase program of releases. The prisoner releases were agreed as part of the terms for a nine-month period of peace talks which began in July and is set to end in April. Kerry, who had spoken optimistically about reaching a peace deal in that timeframe, is now hoping to secure the two sides’ agreement on the “framework” deal, in order to keep the talks alive. The framework agreement reportedly outlines the particulars of a permanent status accord to resolve core issues — Israeli security, the status of Jerusalem, the borders of a Palestinian state, and the issue of Palestinian refugees. Kerry’s visit will come amid a row over reported plans by Netanyahu to imminently authorize construction of 1,400 homes over the pre-1967 Green Line — 600 of them in Jerusalem, and 800 in West Bank settlements. 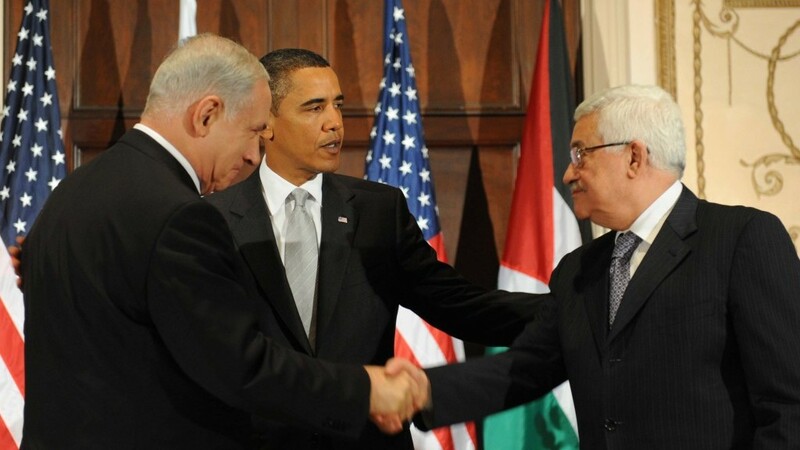 Abbas has urged the US to block the plans. Ahead of the framework deal, Kerry has in recent weeks detailed security proposals for a peace accord — sparking more disagreements between the two sides. While allowing for an Israeli military presence in the border area between Jordan and the West Bank, the security proposals would require the dismantling of all Israel’s settlements in the Jordan Valley, an Army Radio report said last week. Netanyahu has insisted on retaining the IDF’s deployment at that border; Abbas has rejected it, while allowing for the possibility of an international force. The US, under the proposals, would provide an additional West Bank security “envelope,” which would utilize drones and other high-tech equipment to provide real-time intelligence on any terrorist threats and other unlawful border activity. The Americans’ thinking is that if they can get Netanyahu’s agreement to the security plan, he might prove to be more flexible on other core issues of a peace accord, such as border demarcation, Palestinian refugee claims and Jerusalem, the report said. The PA president is demanding control of “all East Jerusalem,” which would become the Palestinian capital, and would be open to one-for-one land swaps to adjust the Green Line, provided the territory to be swapped was of equivalent value, the official added.